For the Ducati Team riders it will certainly be a special occasion, seeing as it is the home race for the ‘red bikes from Borgo Panigale’. 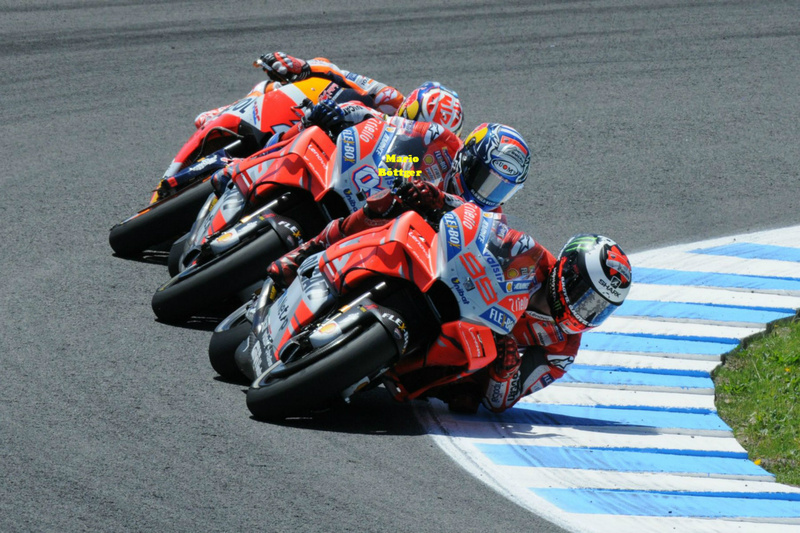 As they head out to tackle the challenging ups and downs of the beautiful Tuscany circuit, Andrea Dovizioso and Jorge Lorenzo, together with Michele Pirro, entered for the first time this year as a wild-card with the third Desmosedici GP of the Ducati Test Team, will certainly be able to count upon the extra support from the numerous supporters who are packed into the Ducati Grandstand at the Correntaio curve. Andrea Dovizioso, who has taken part in ten editions of the Italian GP, is familiar with the passionate support from the Mugello fans and last year he was finally able to score his first home win after a splendid race. His team-mate Jorge Lorenzo holds a simply incredible record at Mugello, having won five of the last six editions of the GP and finishing second on three more occasions. The Italian GP schedule gets underway on Friday morning with the first free practice session at 9.55 am, while the 23-lap race will start at 14.00 CET on Sunday afternoon. Located 30km north-east of Florence in the beautiful Tuscany countryside, Mugello is a modern circuit with excellent facilities. Bought by Ferrari back in 1988, the 5.245km track has been renovated to a high standard and has a reputation for being one of the world’s most up-to-date, scenic and safest race circuits. A blend of slow and fast turns with sweeping curves, long straights and off-camber corners make Mugello one of the most challenging circuits for riders and engineers. Having hosted its first MotoGP event back in 1976 the venue became a permanent fixture in 1991 after extensive refurbishment.